This boat may be built from the plan package only but, in order to ease construction, you may also buy full size patterns, or a numerically cut plywood kit (clinker version only). You may also buy the CNC cutting files (clinker version only) allowing you sub-contracting the kit to a local company. If you order the patterns or the cutting files, first “add to cart” the building plan, and then come back to order the patterns. Aber was the first boat created in 1985 as a result of the desire to provide a boat specially designed for the home builder. It is derived from Aven, my first sail & oars design. It is a little smaller but has more buoyancy in the fore sections for better sea keeping. Aber kept the simple but so efficient lug rig in the Breton style, with a well-peaked yard. It has a pivoting centreboard. The rudder is fixed but can slide vertically. Due to its moderate size, Aber is an excellent rowing boat for one or two persons. It is also a very lively and fast sailboat. In the sail & oars range, Aber is the best choice for a small crew, from 1 to 3. As a result of these qualities, Aber was classified in the “top 150” by the English magazine “Classic Boat” (issue 150). 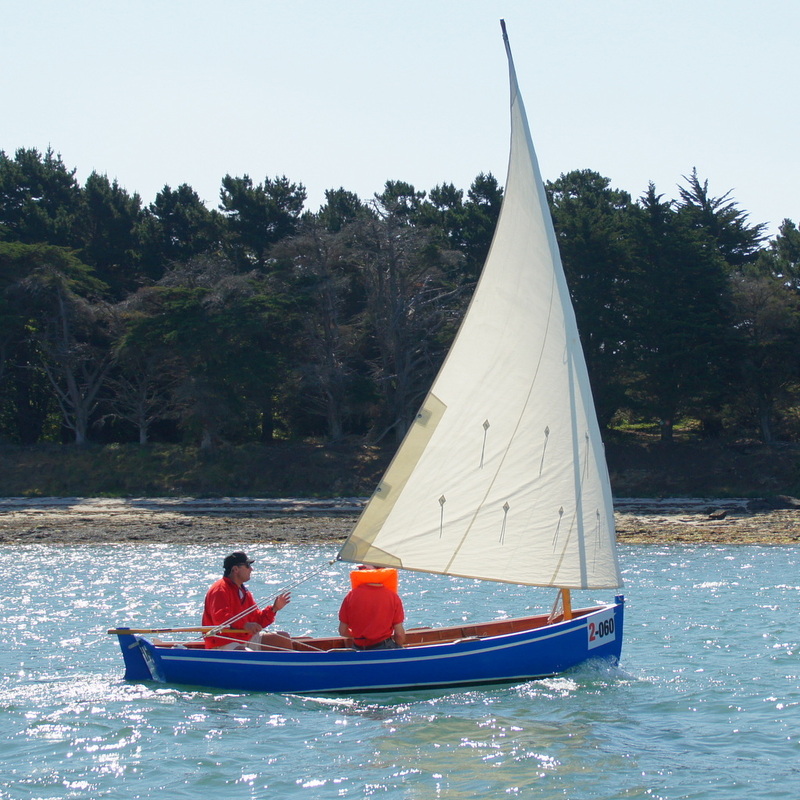 Aber in now available with several rig options in addition to the standard standing lug: lug sloop and sprit sail. Be the first to review “Aber” Click here to cancel reply.